Forget the World Cup... the Premier League is back! The 2018/19 season kicks off tonight with Manchester United vs Leicester City, with both teams desperate to get away to the perfect start following relatively disappointing seasons last time around. Expect plenty of razzmatazz for the first round of Friday Night Football, and we'll tell you how to watch – even if you're outside the UK. We say that Jose Mourinho's Man United were disappointing last season – they finished second in the league. But they were such a way off their crosstown rivals Manchester City, it certainly feels like a big improvement is needed. So they'll be hoping that Romelu Lukaku brings his shooting boots and Paul Pogba shows the kind of midfield dominance he displayed for France in the World Cup. After shocking everybody to win the Premier League title three seasons ago, it feels like this could be a tough season for Leicester City. They've lost a world class player in Riyad Mahrez, and manager Claude Puel seems to be on borrowed time. But could a Jamie Vardy scoring run swing their fortunes again? The action takes place tonight at Old Trafford, with kick-off at 8pm BST (so 9pm in mainland Europe, 3pm ET, 12pm PT). And while Sky has the rights for this first game, we'll let you know how to live stream Manchester United vs Leicester City from absolutely anywhere. Once it's been downloaded and installed, open the app and select a UK server location (it's super easy) and then check out who is showing the game in the UK below. Sky Sports has won the battle to show the Premier League 2018/19 curtain raiser in the UK - one of its 126 live games this season. Build up gets underway at 7pm. That also means you can catch it on the Sky Go app, if you're away from TV and watching on your smartphone or tablet, or get access to it with a NOW TV Sports Pass - it's £7.99 for the day, £12.99 for the week or a discounted £179 for the next ten months. Where else has a Premier League live stream? If you're out of the UK and want to watch the game via your Sky or NOW account, then we really recommend going down the VPN route as described above. 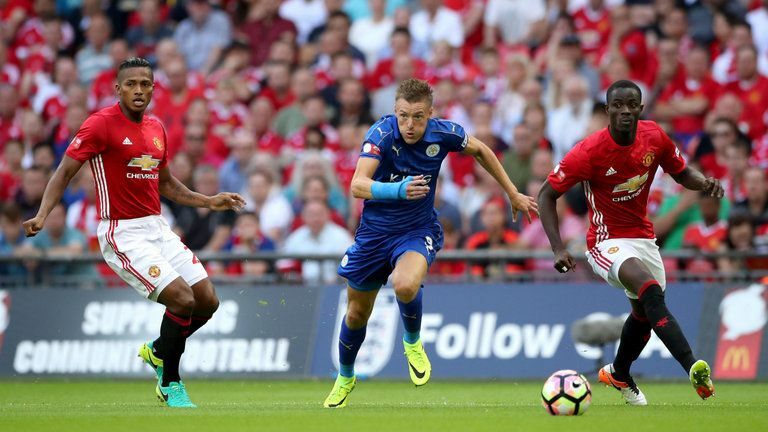 NBC is the official Premier League broadcaster in the US, with the likes of Fubo and Sling TV all offering shorter subscription services if you don't want to commit to cable. They have free trials as well, so you could be watching Man U vs Leicester for free if you haven't used them before. It's TSN and RDS in Canada if you want the local coverage of the Premier League. Optus, who had such a torrid time with their World Cup coverage, have a huge amount of Premier League coverage this season. It costs $15 per month, but do take advantage of the two-week trial first.